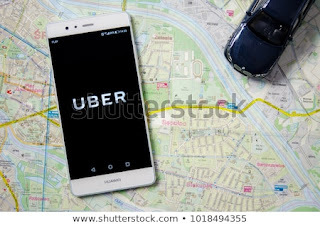 Data regulation authorities in the UK and the Netherlands on Tuesday fined ride-hailing service Uber Technologies Inc for failing to protect its users' data during a 2016 hack attack which affected over 50 million of Uber users across the globe. Labeling the incident as a “series of avoidable data security flaws” which invited hackers to obtain the sensitive information, the Information Commissioner’s Office (ICO) imposed a fine of £385,000 ($490,759.50) on the enterprise. On the other hand, the Dutch Data Protection Authority penalized the firm with a fine of €600,000 ($678,780.00). The breach which affected 174,000 people in the Netherlands and 2.7 million people in the UK in 2016 was reportedly kept a secret until 2017. Instead of immediately informing the regulators about the attack and the customers about their data being compromised, reports say that Uber paid the attackers to destroy the hacked information. Referenced from an Uber Spokesperson's response, "We're pleased to close this chapter on the data incident from 2016. As we shared with European authorities during their investigations, we've made a number of technical improvements to the security of our systems both in the immediate wake of the incident as well as in the years since.